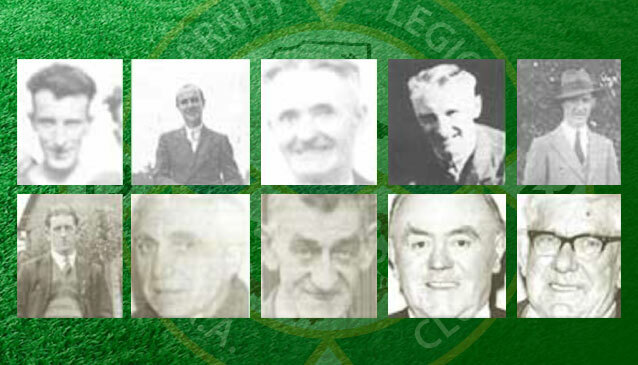 Founder Members, clockwise from top left: Paul Regan, Liam Leary, Martin Wade, Tim Casey, Maurice O’Leary, Mickie O’Leary, Vincie Doyle, Joe Cooper, Larry Horgan, Sean Cooper. 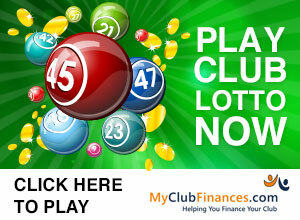 The Club was founded on a March evening in 1929 when a group of eleven men held a meeting in the then Temperance Hall in High Street, Killarney (where O’Shea’s garage is today). The names of these brave, far seeing men were: Maurice O’Leary, Joe Cooper, Vince Doyle, Michael O’Leary, Martin Wade, Denis Hussey, Paulie Regan, Timmie Casey, Larry Horgan, Liamie Leary and Michael Cooper. The first Chair man of the Club was Maurice O’Leary, first Secretary Joe Cooper. The meeting did not elect a Treasurer as in those days money was scarce and always spent before it came in. Vince Doyle was elected first team captain. These were the Clubs founding fathers. Our Club Crest is based on the traditional symbol of the G.A.A., The Celtic Cross. The panels to the left and right denote the year of the foundation of the Club, 1929. The panel at the top bears a football to represent the football played in the club. In the bottom panel a sliotar is shown to represent the hurling within the Club. Each panel is held in place by a circle divided into four parts, this shows the name of our Club. 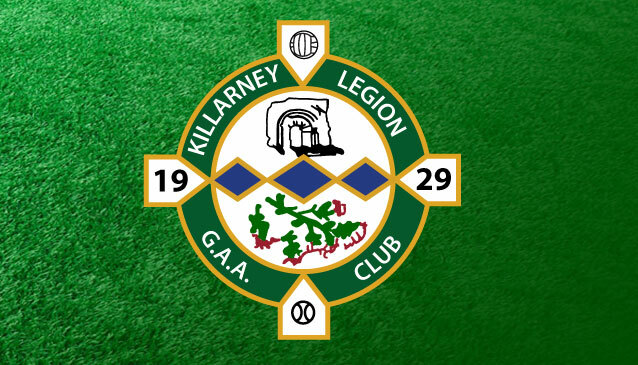 Killarney Legion G.A.A. Club. The left and right panels are joined together by three blue lozenges, which represent the jewel in Killarney’s crown. Our Upper Middle and Lower lakes. Immediately above these is shown the doorway to the oratory on Innisfallen Island, which dates back to beyond the year 1200A.D. It was on this island the famous Annals of Innisfallen were written from A.D. 1090 to A.D.1300. This doorway is done in the Hiberno-Romanesque style. Underneath are shown sprigs and fruits of the Arbutus tree or Strawberry tree, ‘Arbutus unedo’. The Arbutus tree was introduced to Killamey from the Mediterranean and is to be found nowhere else in Ireland or the British Isles. The name Arbutus is synonymous with Killarney and is often seen to figure in the name of businesses. There is a company trading in Killarney for nearly one hundred years, which uses ‘Arbutus’ as its trade name. The Arbutus hotel in College St. is a long established and flourishing place of trade. The Celtic Cross is a suitable symbol for our Club as many members have won in all grades many gold crosses as All-Ireland winners. Not only in football but in hurling also. This Crest was designed in 1992/93 and completed in 1994 by Feargal and Jim O’Carroll.